Social media marketing provides businesses with a low-cost and extremely effective way to connect with their customers. However, it’s important to send the right types of messages if you hope to get real responses. Most consumers won’t respond to companies that exclusively send out advertisements. Your brand needs to incorporate offers and programs that provide customers with real benefits. A recent Ipsos OTX survey found that 70 percent of US consumers want to stay connected to companies through social media because the businesses send them free products or coupons and discounts. More than anything else, consumers were interested in finding ways to save money by following companies on social media websites. The next leading response came from 55 percent of consumers who reported that they follow companies because they offer contests or request suggestions about their products. Consumers are interested in opportunities to win giveaways and to participate in the creation or fine-tuning of products they will eventually use. When you compare the results of US consumers with the average results found in 24 countries from across the world, Americans are far more likely to follow brands in order to get deals and discounts (with 70 percent of US consumers taking this action versus 52 percent across the world). US consumers are also less likely to respond to companies that post shareable content (27 percent of Americans versus 34 percent worldwide). It’s important for business owners to recognize that social media isn’t going away—and in fact, its power is only continuing to grow. More importantly, however, companies need to focus on the content they are delivering to their customers. Advertising messages and product news aren’t enough to hold interest, and consumers are primarily interested in finding new ways to get better deals. By taking advantage of these trends, your business can develop a more loyal online following and get important referrals from your customers. Red Crow Marketing can help you develop a clear online marketing strategy that harnesses the power of social media and sharing. 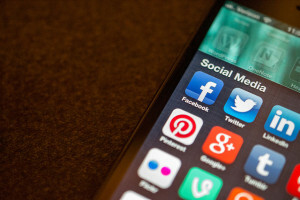 We can work with your existing social media accounts or build a new campaign to reach followers and to connect with new audiences. Contact us now or give us a call at 417-889-1658 to schedule your initial marketing consultation and to learn more about the impact social media can have on your business. A report on this study was originally published on April 2, 2013 by Marketing Charts. Read more about the study and its findings here.